“We’re hammering away at this pretty tirelessly,” according to David Hutniak, chief executive officer of Landlord BC, a housing-industry group in the province of British Columbia. “Can you imagine you’re living in a 100-unit apartment, and in theory, there could be 100 grow-ops in that thing? I mean, that’s ridiculous,” Hutniak told Bloomberg. Read more: Can marijuana dispensaries enhance home values? One reason landlords don’t want tenants lighting up is that many rental buildings are fairly old, so “smoke and smells are easily transmitted through hallways between units” and can disturb others who don’t want to partake, Canadian Federation of Apartment Associations president John Dickie explained. Failing to implement regulations that allow landlords to ensure smoke-free, grow-free units could lead to higher rents, according to William Blake, spokesman for the Ontario Landlords Association. 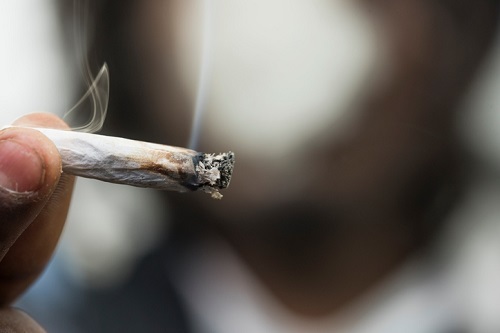 Some provinces, including Ontario, block landlords from extracting damage deposits from tenants, said Blake, who once spent more than $5,000 to clear the smell from a marijuana smoker’s unit. Finding an affordable apartment in supply-squeezed cities like Toronto and Vancouver is already challenging, and vacancy rates are at record lows. For people who use pot, the search may get even tougher: It is “legal and legitimate” for landlords to select tenants who don’t smoke, Dickie argued.